I glazed the plates from my last post the other day. It was a stormy day, and although my studio is only across the street from my house (the street being the WORLD FAMOUS Cabot Trail) it was a pretty windy and wintery day and I felt like I had blown in from the seas by the time I got there. I could hear the ocean crashing off in the distance as it often does, rumbling and grabbing at the shoreline. It is almost an ever-present sound here during the more stormy winter months. We’re about a kilometre away from the water, but it is still loud. 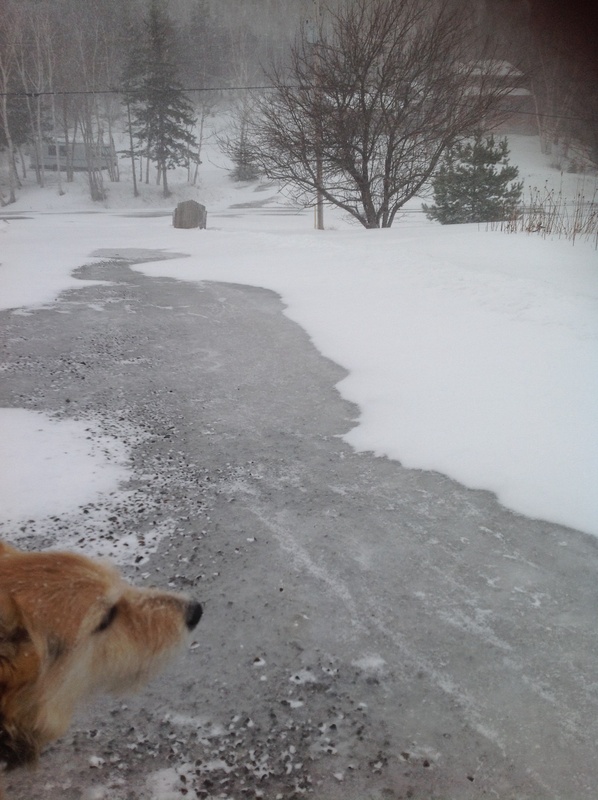 That is sheer ice down the driveway! Well, once Lola and I finished our commute to work I pulled out my thermos of tea, poured some into one of my new birch tree tumblers and waxed the bottoms of the plates. I paint on a liquid wax, not melted paraffin because I have problems with scents and I find the melted wax really gives me a headache. Waxing the bottoms of the plates allows me to dip the plates into the bucket without the glaze adhering to the bottom. I then dragged out the buckets of glazes. 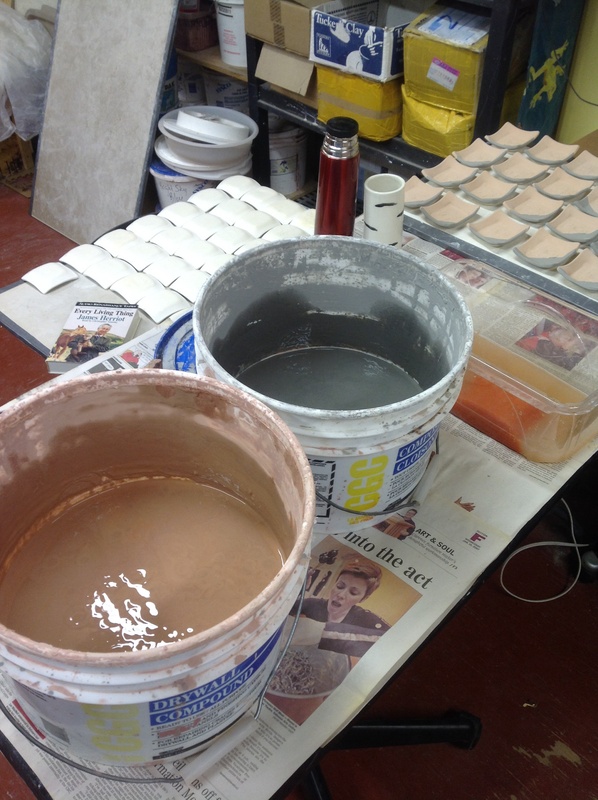 Luckily I had mixed up a bunch of glazes in November and hadn’t used any since, so I didn’t have to make glazes. 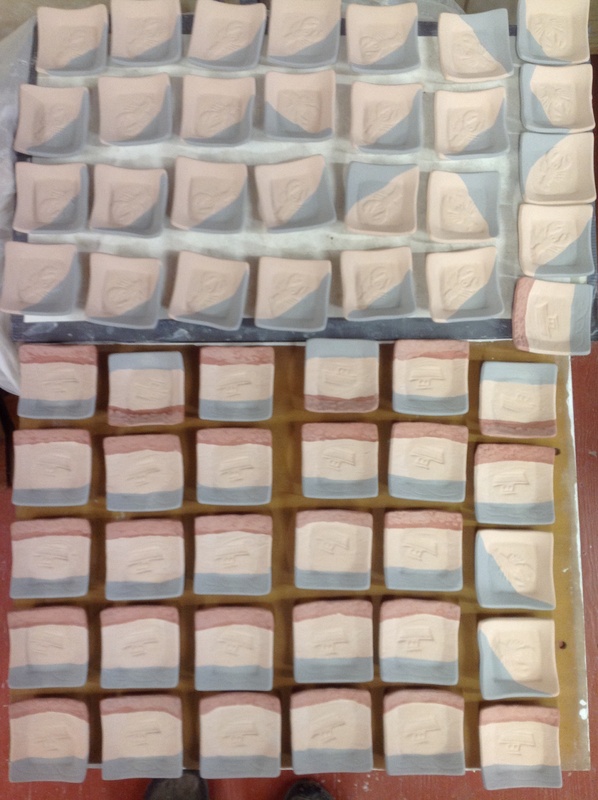 Some people really love that part of being a potter but it isn’t my favourite step of the process. Once I had the buckets opened I gave them a zap with my hand blender, just to re-mix them and then commenced a glazin’. As promised I was listening to a James Herriot book on tape. It actually was on tape, and the cassette player ate one of the tapes three times. Don’t you miss the good old days of trying to gently ease the ribbon of tape out of the guts of the player? Well, I managed it. The book was read by Christopher Timothy, who played James Herriot in the BBC TV series All Creatures Great and Small. Perfect for easy listening while I work. 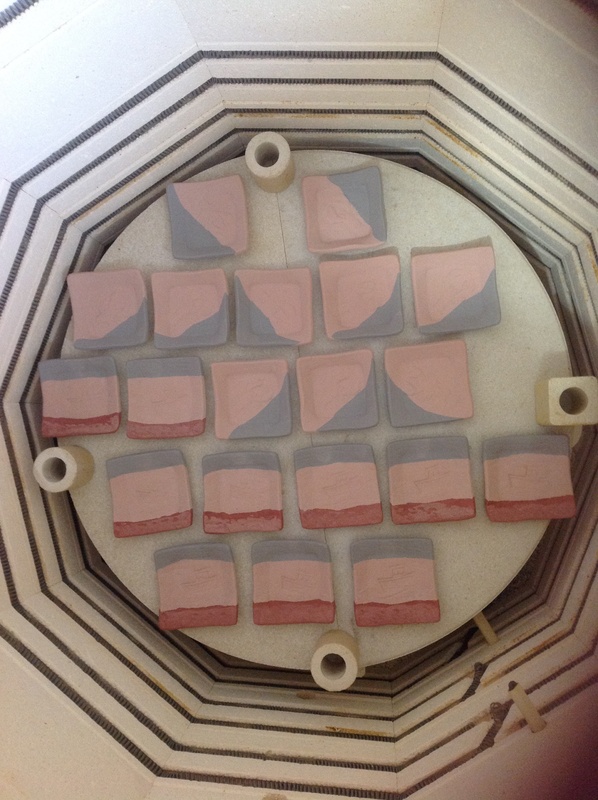 Here are a few more photos of the glazing process and some of the plates loaded into the kiln. The plates are out of the kiln now and turned out very nicely. I will be sending them off next week. January 31, 2015 in Raku Pottery.